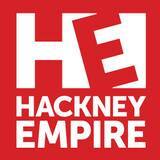 ... heights at Hackney Empire this May Bank Holiday weekend. ... Alter Ego returns for a seventh year as part of the 2019 Discover Young Hackney Festival. We... are welcoming the cream of the capital’s underground to Hackney Empire’s legendary 1200 seat... spotlight; singers, dancers, poets and rappers all competing for the title of Alter Ego 2019. Farzad Farzin is an Iranian singer, song writer, arranger and actor. Started his career as a singer in 2004. Released 7 studio albums, as well as several non-album hit singles. In 2018 he toured the U.S. and is now coming to London with his latest album and looking forward to work with International Music Producers. series of one-night-stands calling at dozens of theatres around the country starting in May 2019.